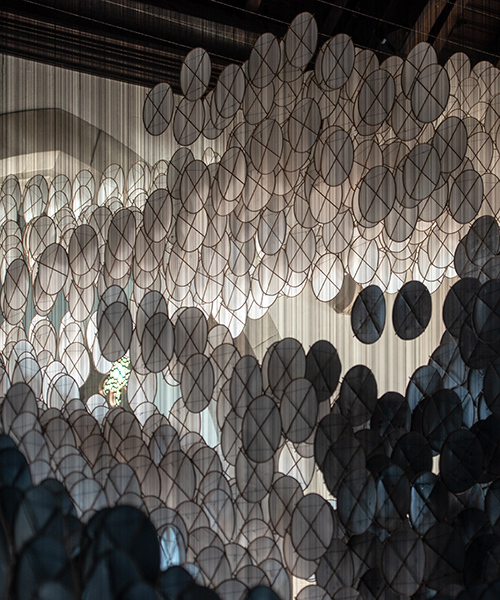 jacob hashimoto is an artist based in new york. 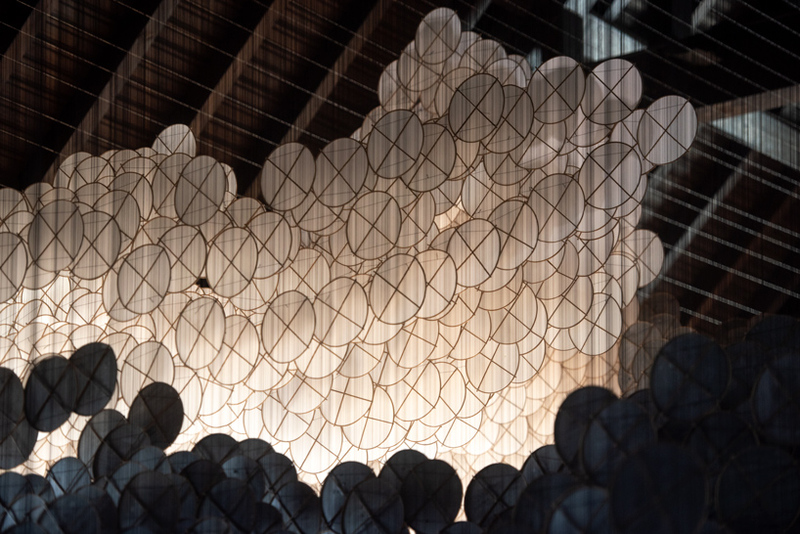 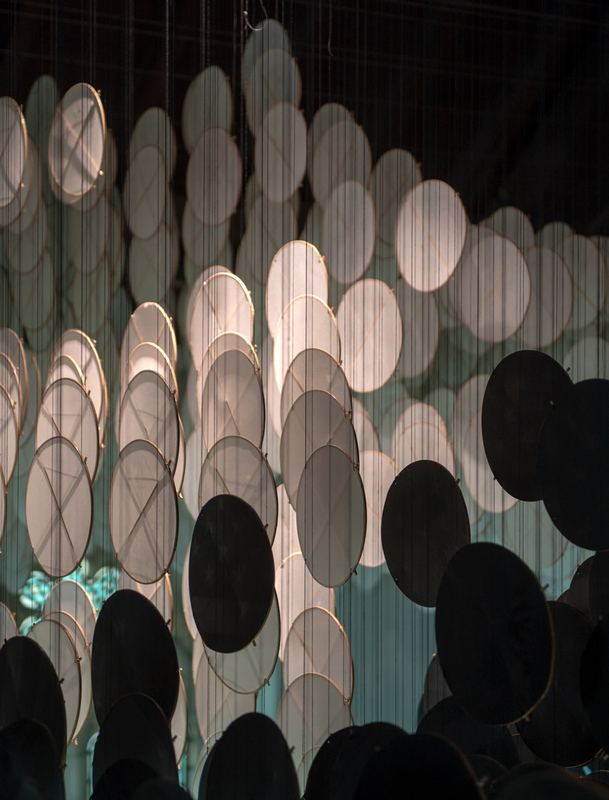 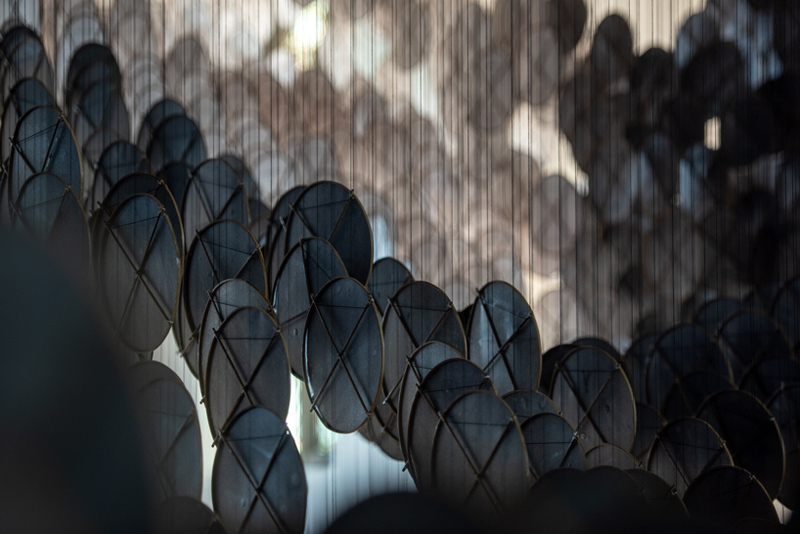 drawing on his japanese heritage, he creates light three-dimensional structures such as wall hangings comprising thousands of miniature 'kites': bamboo-stiffened rice paper hexagons suspended with nylon fishing line. 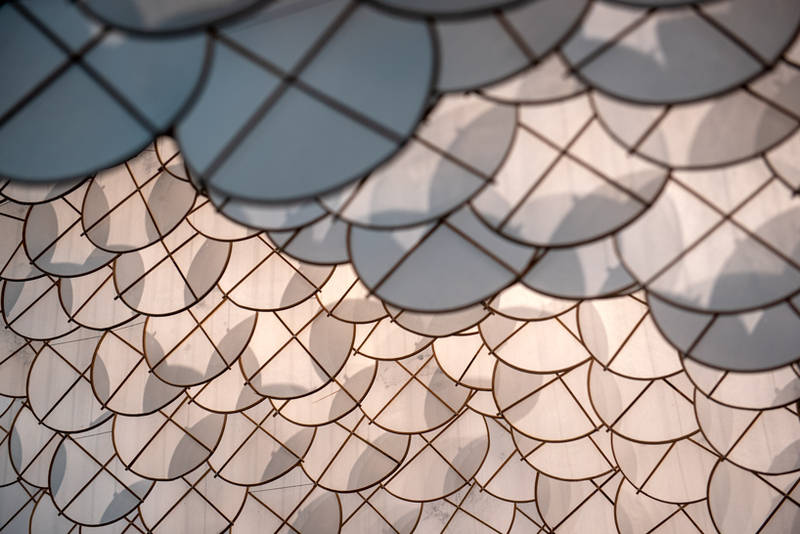 queens-based artist jacob hashimoto presents ‘the eclipse,’ his first major installation of public art in new york city. 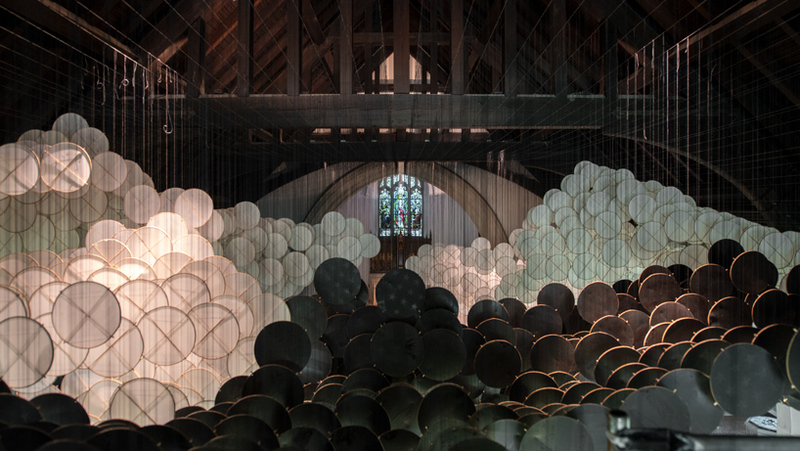 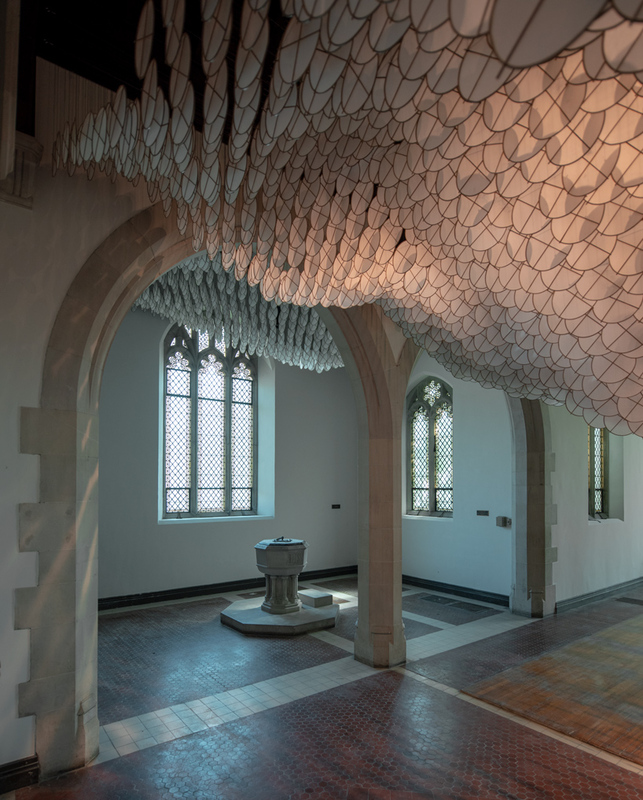 this monumental work transforms the interior of the st. cornelius chapel of governors island with thousands of delicate rice paper kites. 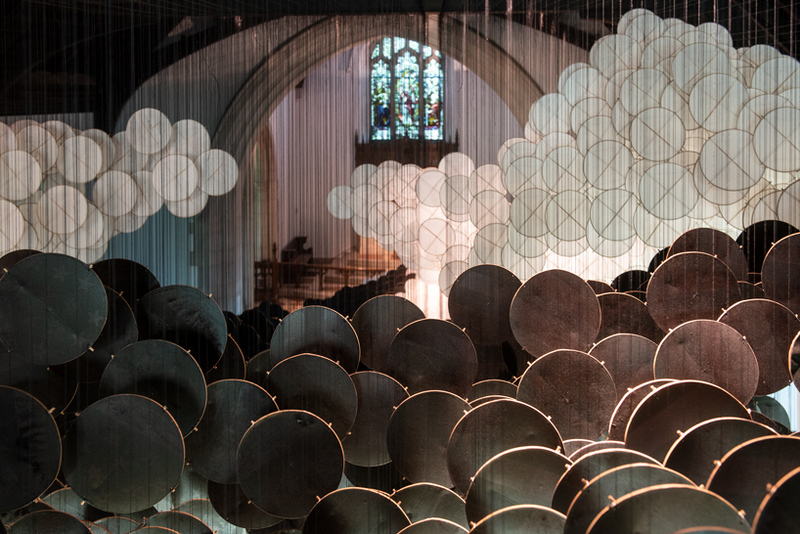 viewers are enveloped in a tangible, ever shifting fog. 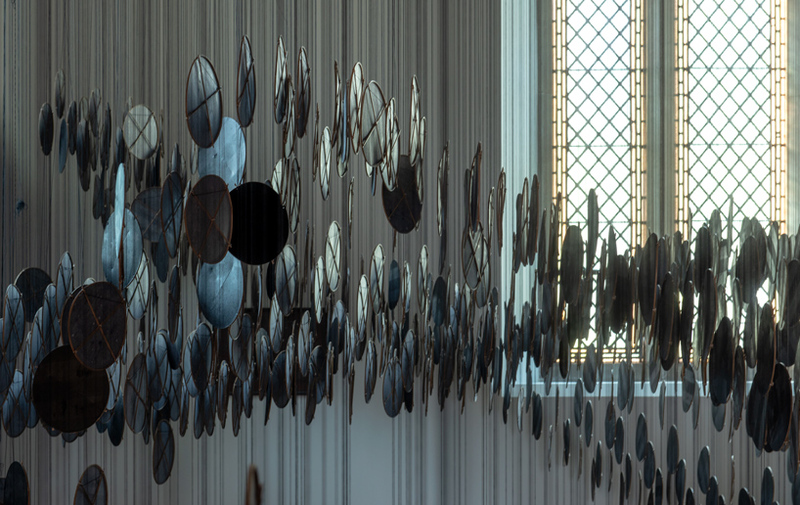 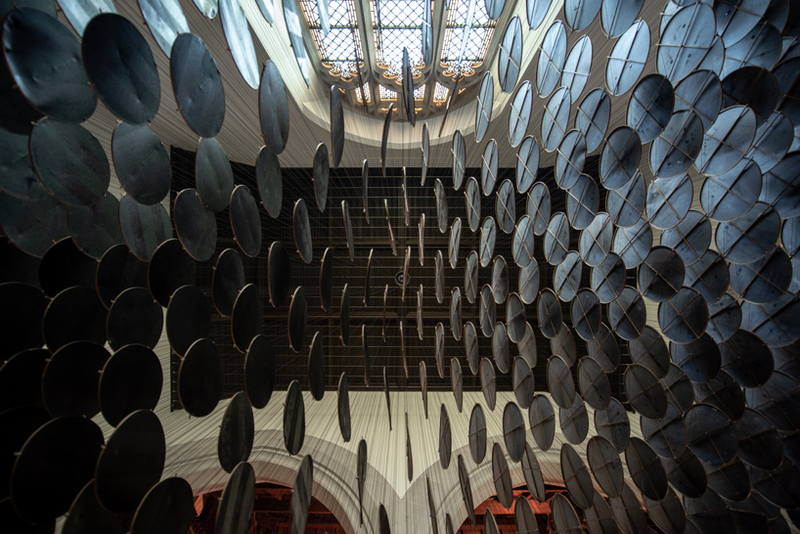 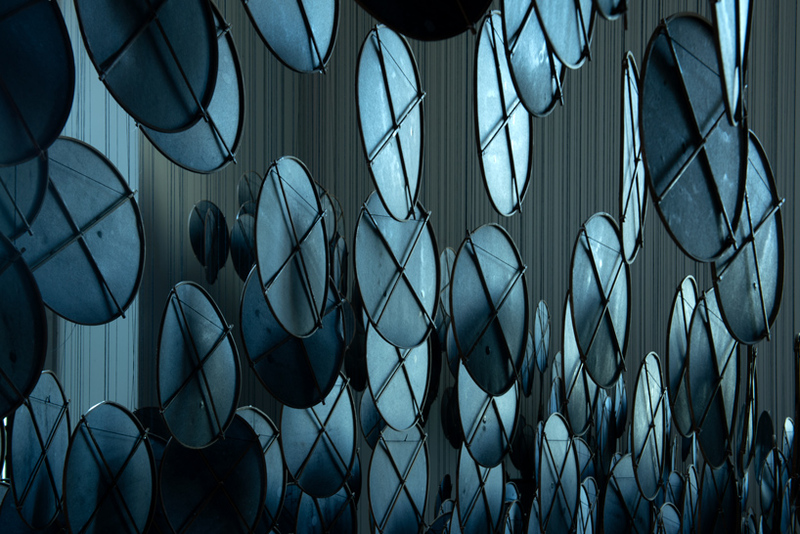 originally installed at the palazzo flangini during the 57th venice biennale, the ephemeral work has been adapted for the new governors island site, winding throughout and at times consuming the gothic interior. 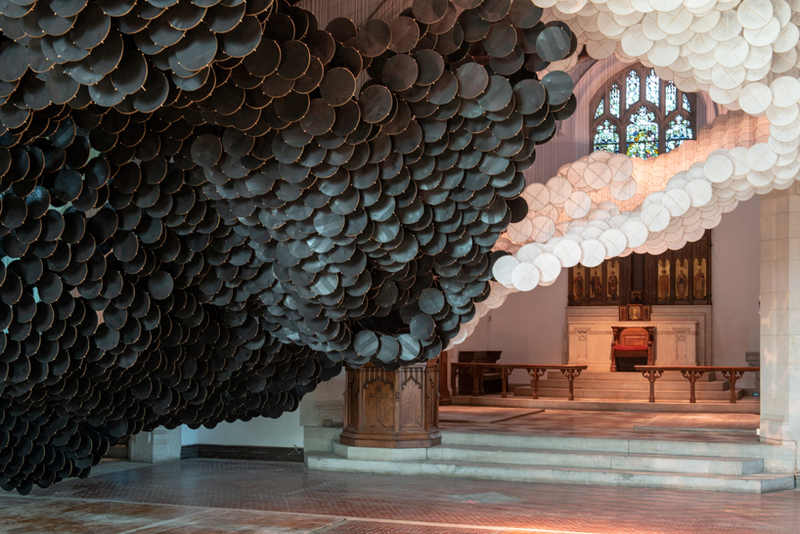 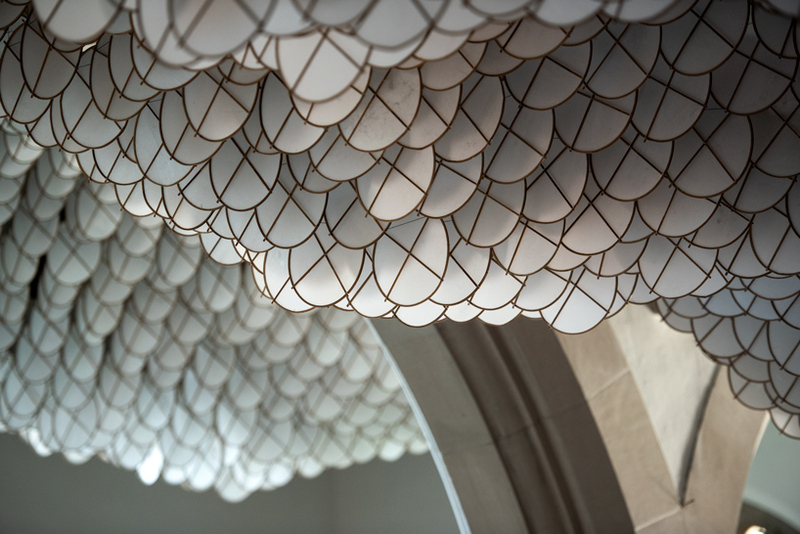 with the showcasing of ‘the eclipse,’ st. cornelius chapel opens its doors to the public for the first time since 2013.
with the eclipse, jacob hashimoto offers visitors a moment of quiet solemnity — a reprieve from the energy of the city. 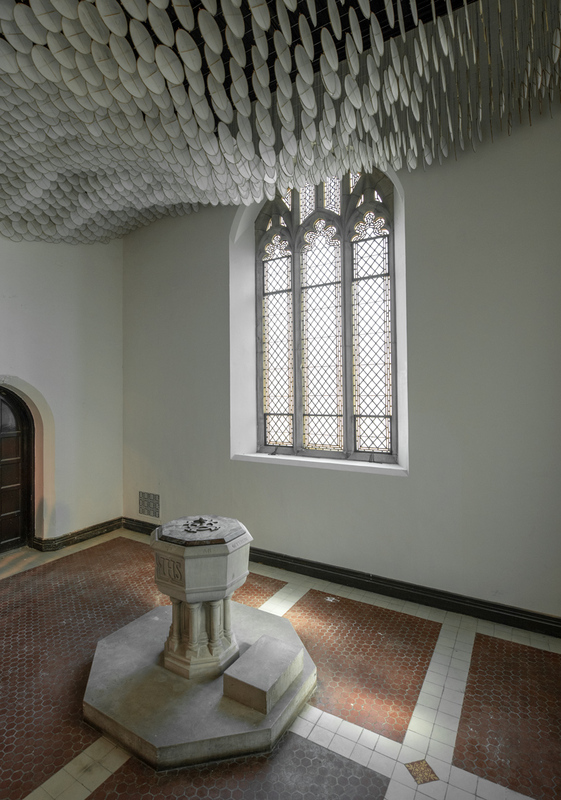 the chapel of st. cornelius was originally constructed as a wood structure in 1847, and after falling into disrepair, was replaced by the gothic-style stone structure in 1906. in addition to the installation in st. cornelius chapel, hashimoto showcases the colorful and dynamic work entitled, ‘never comes tomorrow’ beneath the liggett hall archway nearby. 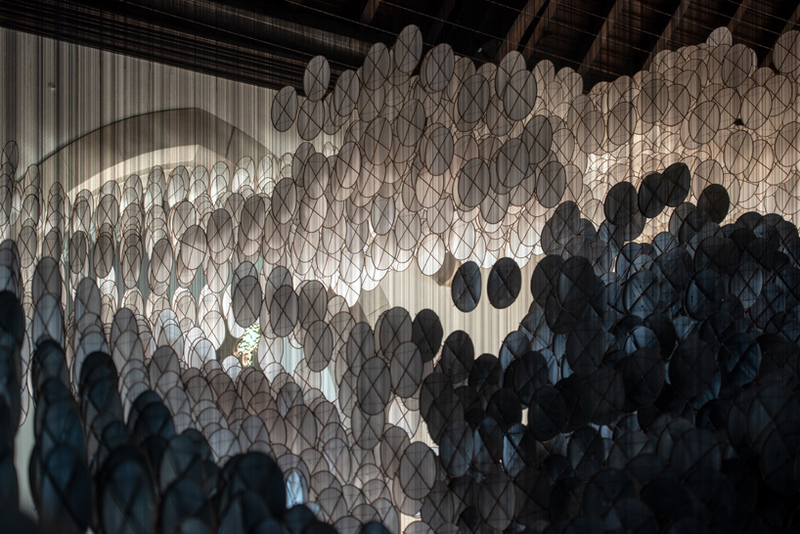 the two exhibitions open to the public june 2 and will be on display daily through october 31 2018.
governors island is open to the public seven days a week from may 1 through october 31 from 10 am to 6 pm weekdays, until 10 pm on fridays may 25-september 14 and weekends from 10 am to 7 pm.